Destination Photographer Unique Moments Photographer captured this image in 2013 in St Paul Minnesota. 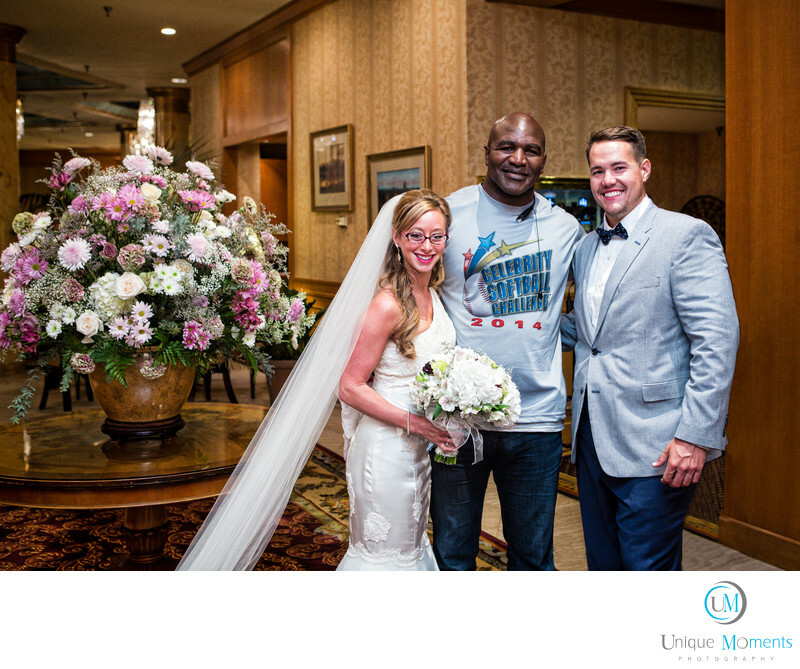 Definitely qualifies as a Unique Moment, The Champ Evander Holyfield was walking through the hotel lobby and we asked him if he would take a photo with the bride and groom. Promise you no one else in Minnesota has this image.Definitely a lot of fun and he is a heck of a nice guy. Location: 350 Market St, St Paul, MN 55102.